FITLOOK, a new health and lifestyle magazine was launched today through a press conference in New Delhi, today. 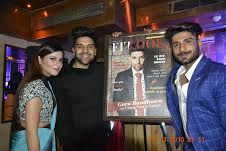 The event was graced by the ‘patola’ and ‘suit’ fame Guru Randhawa, the famous Punjabi singer who is also featuring on the cover of the first pan-India issue of the magazine. 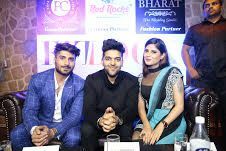 Along with Guru Randhawa, the press conference was preceded by the owners of the magazine, Karnika Budhiraja and Mohit Kathuria. The magazine has already received a very welcoming response through its social media pages, in terms of subscription and following. The magazine will feature similar famous celebrities on their cover pages of their following issues. The idea, however, will be to deliver the key message (of the respective issues) through the celebrity featuring on the cover page. The event was hosted at Café Public Connection (Connaught Place, New Delhi), which was also the venue partner for the event. Delhi NCR’s first premium gym – Red Rocks Gym & Spa was the fitness partners, and Bharat- The wedding Studio was the fashion partner. The magazine aims to establish itself as a credible source in giving out tips and tricks of a healthy lifestyle and fashion features. 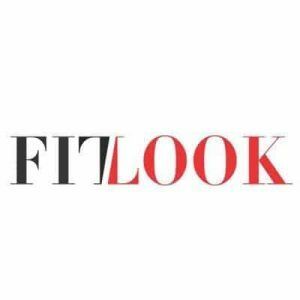 FITLOOK is India’s first Fitness Style Magazine. The magazine is launching its first issue in November 2016 across cities in India.Magazine is owned and run by Ms Karnika Budhiraja and Mr Mohit Kathuria. The magazine aims to provide its reader good insights about striking a perfect balance between an uncontrolled professional lifestyle and a self-controlled personal lifestyle.